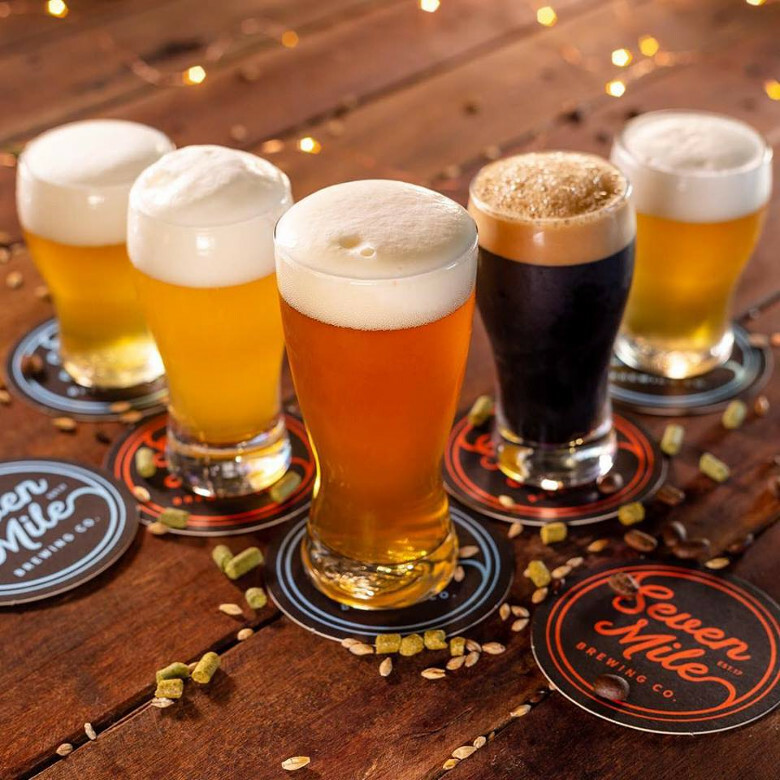 Seven Mile Brewing Co. is a family owned and operated brewery based in Ballina, NSW's Northern Rivers. They have a simple mission, to craft the best beer possible, no compromises. Visit them Friday, Saturday and Sunday afternoons for a cold tap beer! Beers are available by the glass, or as a tasting flight. They also offer take away cans (1L) which are filled and seamed by hand right in front of you. The core range products are also be available by the six pack or carton. If you are feeling peckish, they have catering by local providers on Friday, Saturday and Sunday from 12pm-6pm. Their produce largely comes from the Ballina region, though also extends out across the Northern Rivers. They strive to support local farmers and producers wherever possible, to give their customers a genuine taste of the Northern Rivers.